Cast: Gloria Swanson, Robert Ames, Purnell Pratt, Henry B. Walthall, Mary Forbes, Wally Albright, Jr. Plot: A stenographer marries a rich man's son and they have a child. When the marriage is annulled by the son's parents, the woman fights to keep her son. 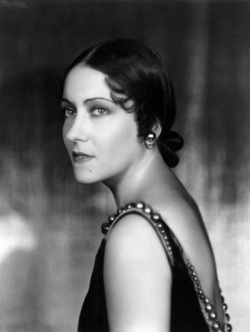 The Trespasser was Gloria Swanson's first talking film. 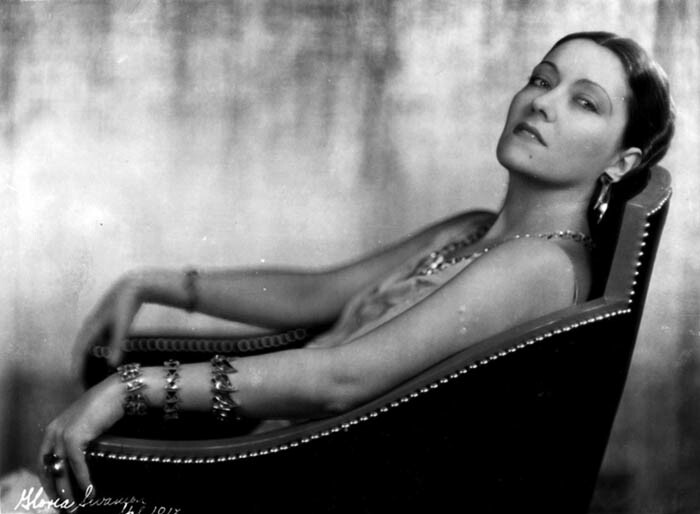 She wanted to get a film out quickly following the Queen Kelly disaster and "talkies" were quickly gaining popularity. She met with rising director Edmund Goulding and they decided to collaborate on an original script together. They also hired Laura Hope Crews and the three of them worked on the story in Gloria's home for a month. The result was a taut script that was filmed on a sound stage in twenty one days. It was the fastest and least expensive project that Gloria was very involved with. Gloria adapted well with sound filmmaking and The Trespasser was a tremendous success. In addition to her speaking voice, she sang a song called "Love, Your Magic Spell Is Everywhere" and audiences were excited to hear that she could sing as well as act. 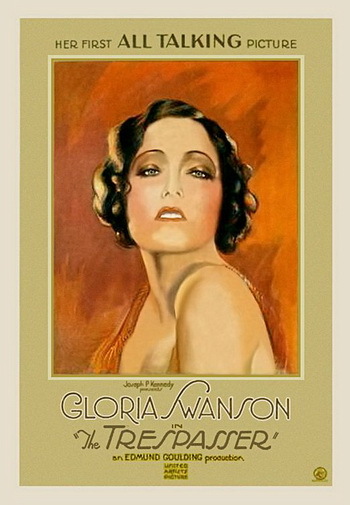 Gloria was nominated again for the Academy Award but she lost this time to Norma Shearer. Swanson later claimed that the money made from the film paid back the bankers who financed Queen Kelly. The New York Times wrote: "...Miss Swanson gives an even better performance here than she did in 'Sadie Thompson' for here she is more of an actress than ever, speaking lines naturally and without unnecessary pantomimic gestures. Her work is restrained, particularly in the emotional scenes...no wonder London was bowled over by her sensitive interpretation." Next film - What a Widow!